Wedding ceremonies are not just about lovely bridal gowns, gorgeous floral arrangements, and exchanging heartfelt vows. There are subtle, unspoken, underlying expressions that communicate more than words. Guests remember a bride’s soulful smile as she walked down the aisle with her bouquet. They also notice a groom’s warm, adoring grin as he welcomed his future wife to the altar. Most brides and grooms forget that the most unforgettable accessory in their wedding wardrobe is a beautiful, polished smile. Couples that want to look their absolute best on their wedding day should start with an appointment at Stelzer Dental. 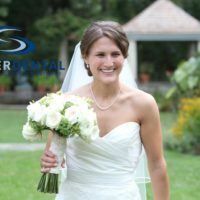 The Stelzer Dental team will be attending the “Tie the Knot” Wedding Showcase on Sunday, Feb. 11, from noon until 3:30 p.m., at the Talamore Country Club in Ambler, Pa.
At the bridal event, Stelzer Dental will be available to speak to couples about advanced cosmetic procedures that will make their smiles picture-perfect on their wedding day. Dr. Stelzer, is expertly trained in cosmetic dentistry and has already changed the lives of many brides and grooms by brightening their smiles through teeth whitening, bonding, veneers and other treatments. Learn how he can make your smile glow. Fixing Flaws: Creating a perfect smile is an art form. Dr. Stelzer can correct any gapped, stained, chipped, or misaligned teeth with minimally invasive methods. Be Confident: Most people that have dental flaws keep their mouths closed while smiling. 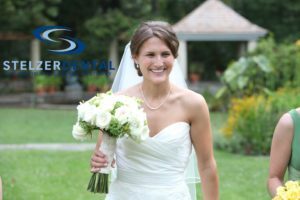 With Dr. Stelzer’s expert treatments, you can proudly smile with your mouth open on your wedding day. Smile Design: At Stelzer Dental, we realize that dental procedures are not “one size fits all” treatments. We craft the perfect-looking grin by tailoring treatments to your individual needs. Dental Implants: If you’re missing teeth, we can support and stabilize your bite with natural-looking dental implants. These comfortable implants help patients to smile with confidence, eat their favorite foods, and speak well. 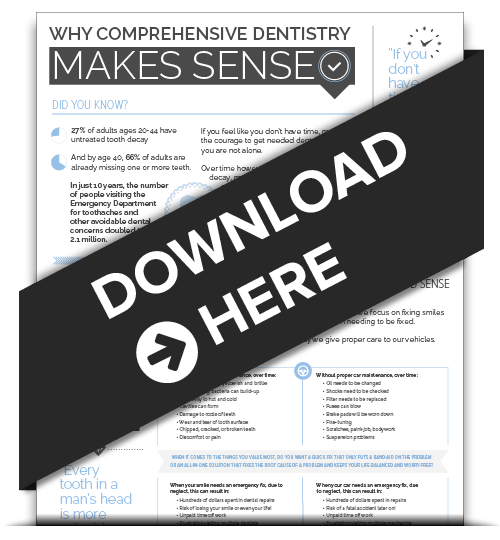 Invisalign: Are you looking for a long-term solution to improve and straighten your smile? Smile Make-Overs: Do you have a smile in need of cosmetic improvements? We can remake your smile into a standout attention-getter. To purchase tickets for the bridal showcase, visit the Eventbrite page. Stelzer Dental looks forward to seeing you there. Get a one-of-a-kind dental experience at Stelzer Dental. Our patient-focused practice exceeds expectations. We also won the Best of Ambler Award in 2017. We create long-lasting smiles. Schedule a complimentary smile design consultation or calling (215) 607-6860 today.